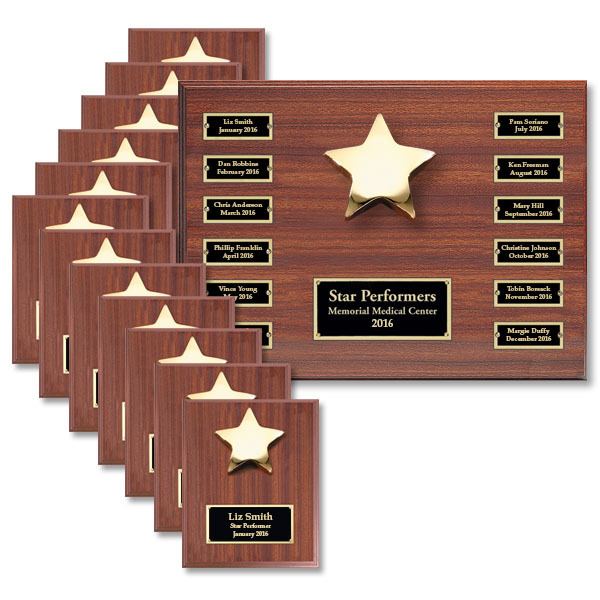 The Star Performer Recognition Program has everything you need to reward and recognize your most valuable employees. As one of our bestsellers, the program features an attractive plaque crafted in a rich rosewood finish, accented by a gold-toned star. We also offer a Star Performer Employee of the Month Basic Recognition Program -- click here.